Reserve Your Fishing Adventure Today! 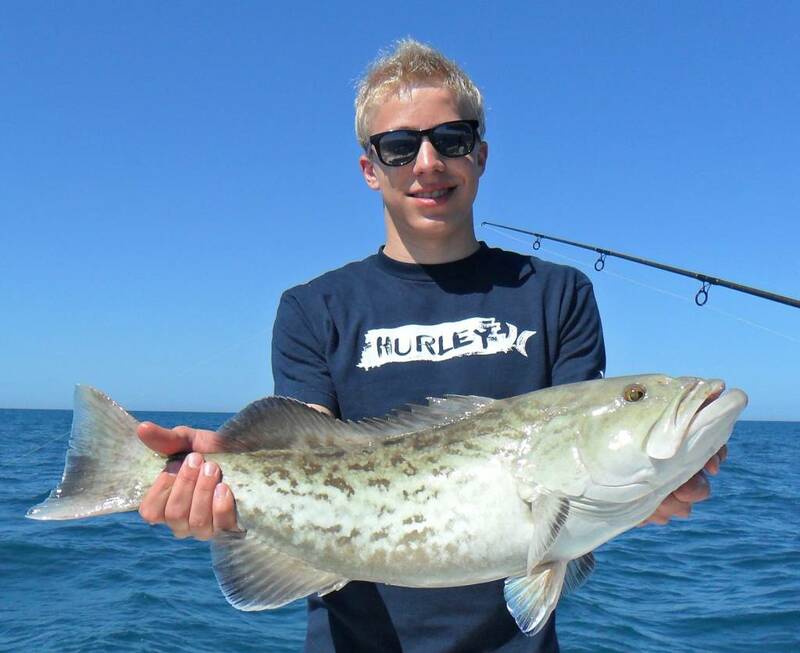 Welcome To Captain Matt Fishing Charters! 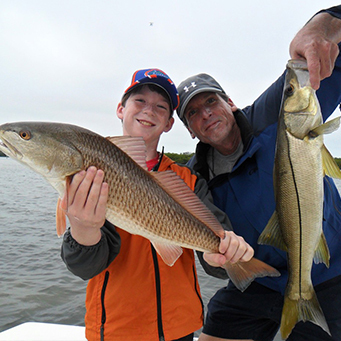 Tampa Bay charter fishing has something to offer everyone, whether you’re a seasoned angler or a very young angler just learning for the first time. 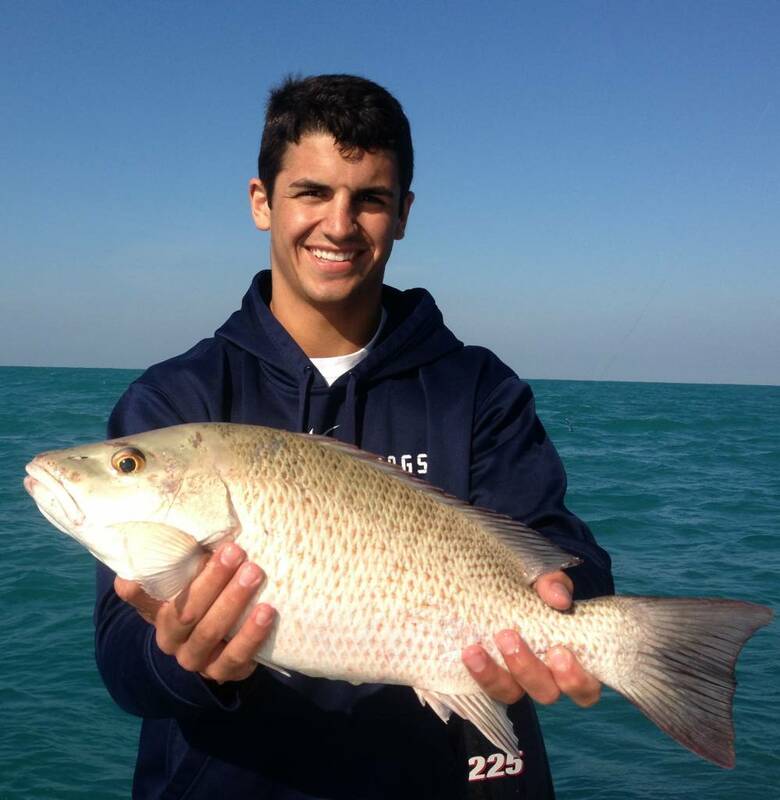 The fishing in Tampa Bay is consistently plentiful for many different kinds of fish. This generous variety gives Tampa fishing charter Captains’ endless opportunities to get their fishermen hooked up. 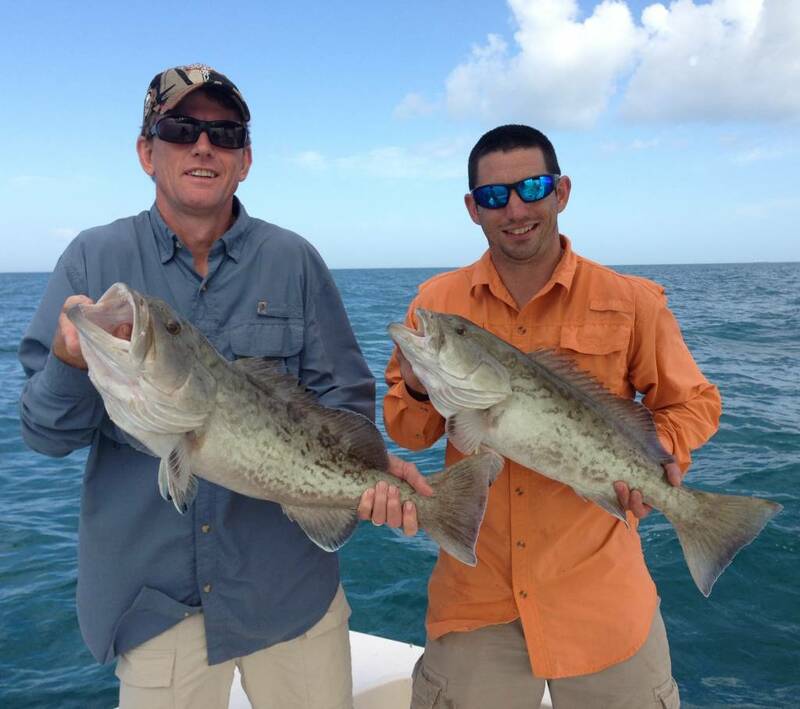 Tampa fishing charters offer some of the most exciting angling experiences in the world. Fishing in Tampa Bay provides opportunities at world class size and numbers of fish that few places in the world can rival. Captain Matt has had days where he crushed the Snook and Redfish on the flats after already doing battle with full grown Tarpon. Then he turned and made a short run offshore to catch a few 10 pound plus False Albacore for bait to hookup on 400 pound Goliath Grouper, all on one Tampa fishing charter. Captain Matt was recommended to me by a relative who has fished with him multiple times and he did not disappoint. 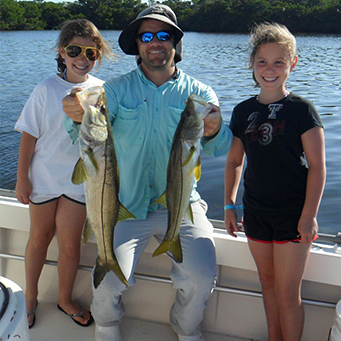 He took me and two of my children (ages 10 & 14) snook fishing and we were on fish in no time. He is very knowledgeable and personable. My kids liked him right away and felt very comfortable fishing with him and asking him about the fish we were catching and the waters we were in. We had a blast, so glad we booked with Captain Matt! We went inshore fishing and caught enough Trout, Black Drum, and Flounder to feed 8 people 3+ meals. We also caught and released Snook, Sheepshead, and Grouper. Matt was attentive without being obtrusive, and made us all feel like he was looking out for us. You will not find a better or more personable guide! Capt Matt gives the extra effort required to make sure everyone has a great day.From tarpon to kings, trout, snook, and reds, you will fish productive areas, with great live bait, for the non fly folks. This was awesome he knew what he was doing. Saw allot of tarpon and hooked a giant. I would use him again. Captain Matt did a fantastic job. He took us out to a spot he said" we would catch fish" sure enough we caught reds, kings, grouper and had a shark on. If you want a great charter with a captain that can get you on fish this is your guy, he knows his stuff. What a day! Caught so many massive kingfish, grouper, snapper, Spanish mackerel and several others. Action was non stop. Headed to another spot and worked a massive school of permit - all on light tackle spinning rods. The boat was solid, dry, stable and versatile - very impressive. Captain Matt runs a great business. He's out there every day (literally, even on Easter). 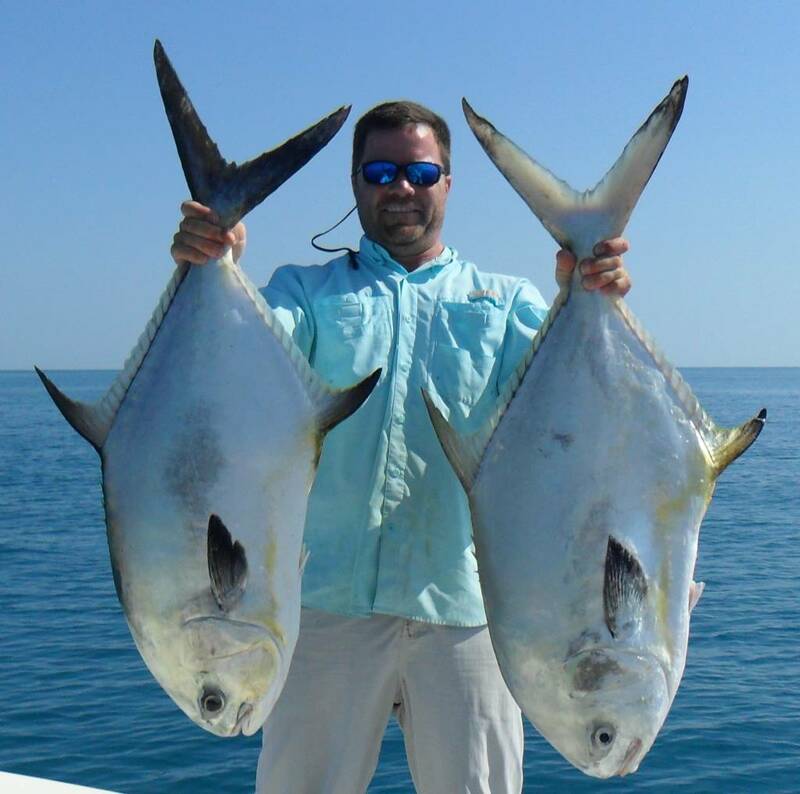 He knew exactly where and when to find bait, exactly where to find big kings and bottom fish, and then exactly where to find a big school of permit. Felt a little guilty leaving my family this morning, but was able to spend some quality time with my brother whom I haven't seen in a year. Great trip! Need to find an excuse to come back next month for tarpon! 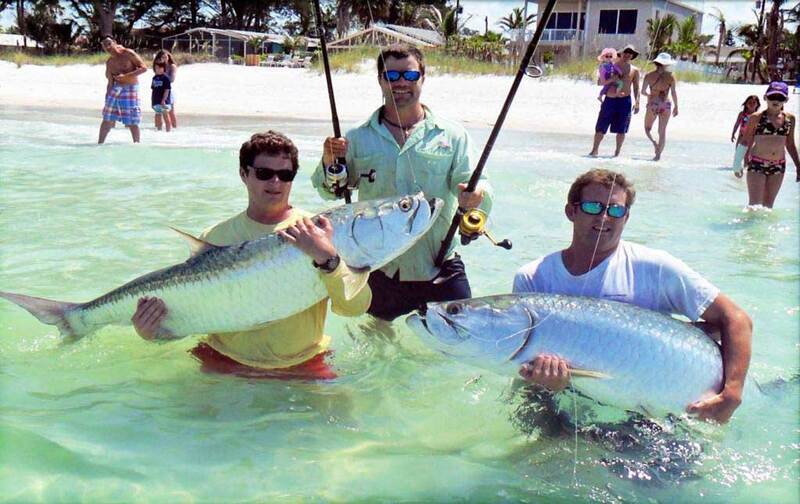 Tarpon fishing in Tampa Bay may be one of the most thrilling experiences available to an angler in the world. 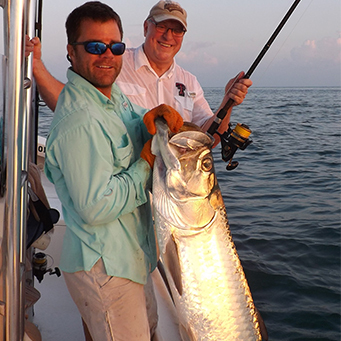 Tampa Bay Tarpon fishing charters without a doubt are what Captain Matt likes the best out of all the different Tampa fishing charters he offers. 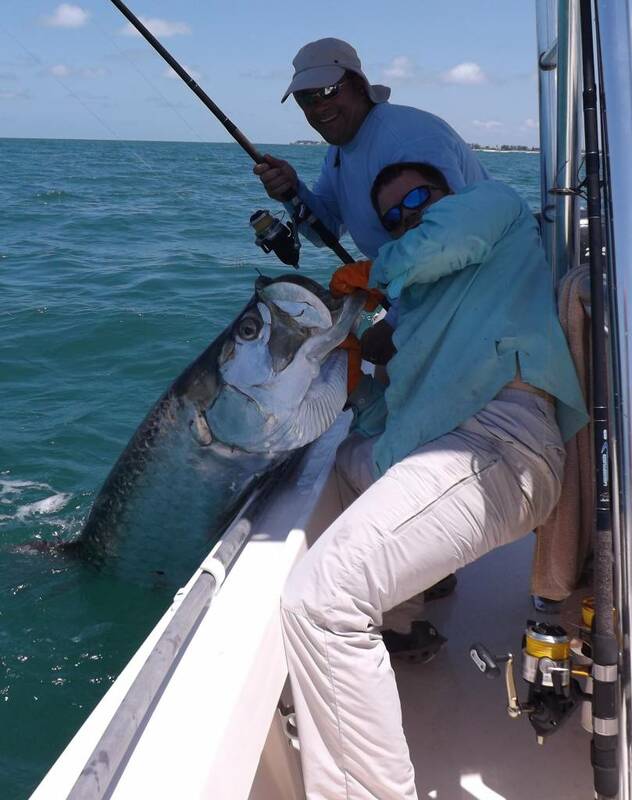 The Captain’s ability to locate and catch multiple Tarpon in a day is second to none. 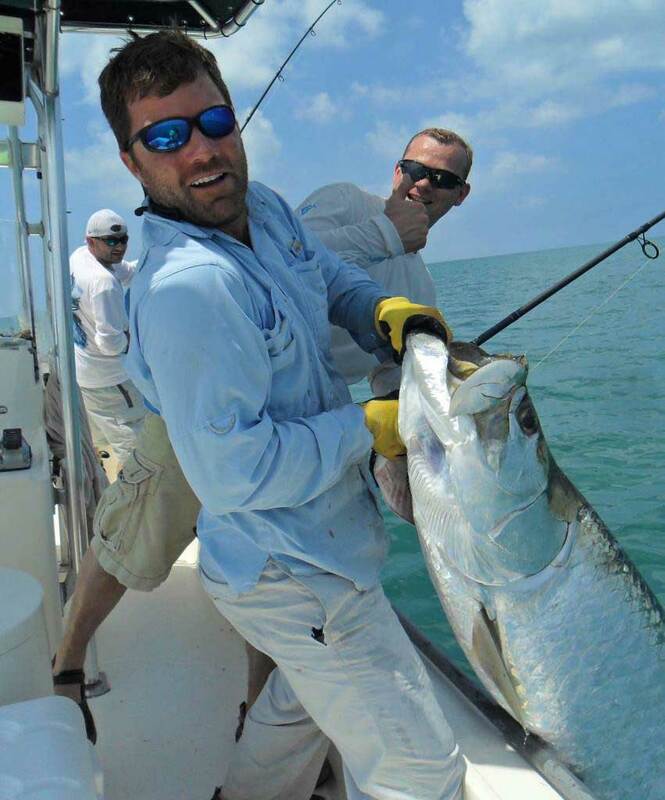 Captain Matt is a top Tampa Bay tarpon fishing guideand continues to lead the sport with innovative tactics year after year that has brought his stats up to a nearly 100 percent hookup rate per Tarpon charter. 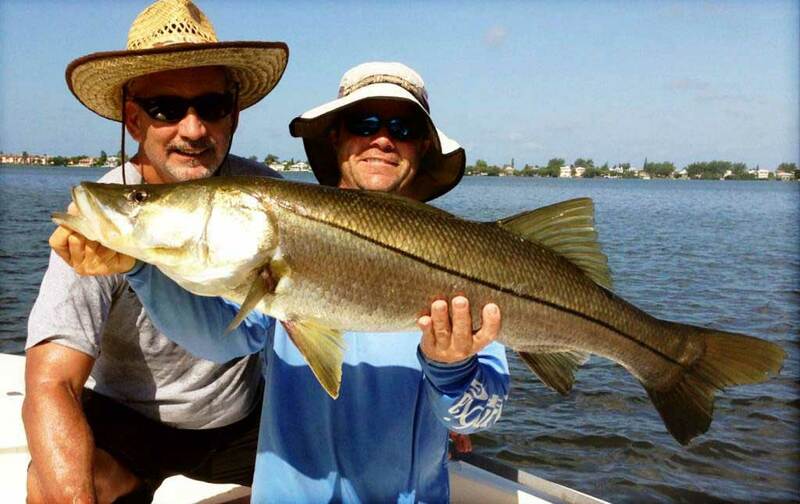 Snook fishing in Tampa Bay is truly world class. 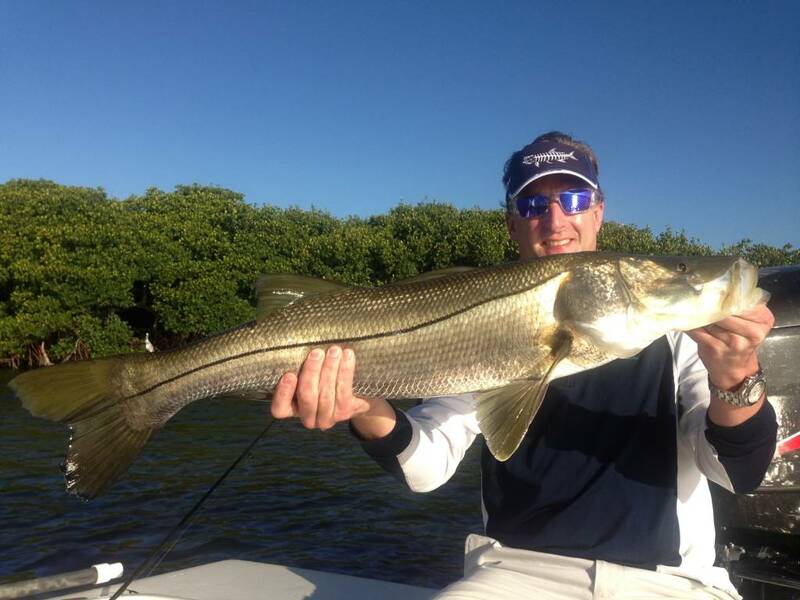 There is a good reason why Captain Matt does more snook fishing charters than any other species of fish. 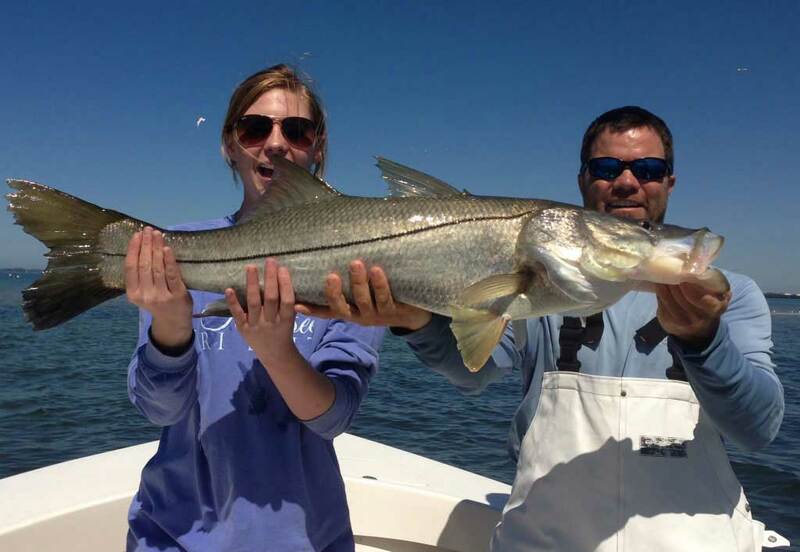 Snook are probably the Bay areas most popular sport fish, and Captain Matt has the very best location to fish for them, literally right out his back door. Each and every morning that he has a flats charter planned, he heads out to the nearby flats to catch pilchards, the favorite bait fish of the snook. His large powerful bait well is able to hold a thousand pilchards lively all day long which serves a good day of snook fishing. Catching and keeping lots of very lively fresh bait is an absolute must for a successful high volume day of snook catching. 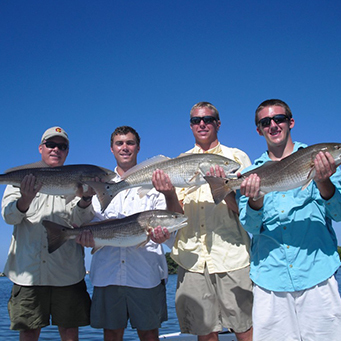 Redfish of Tampa Bay are without a doubt a favorite of local fishing charters. 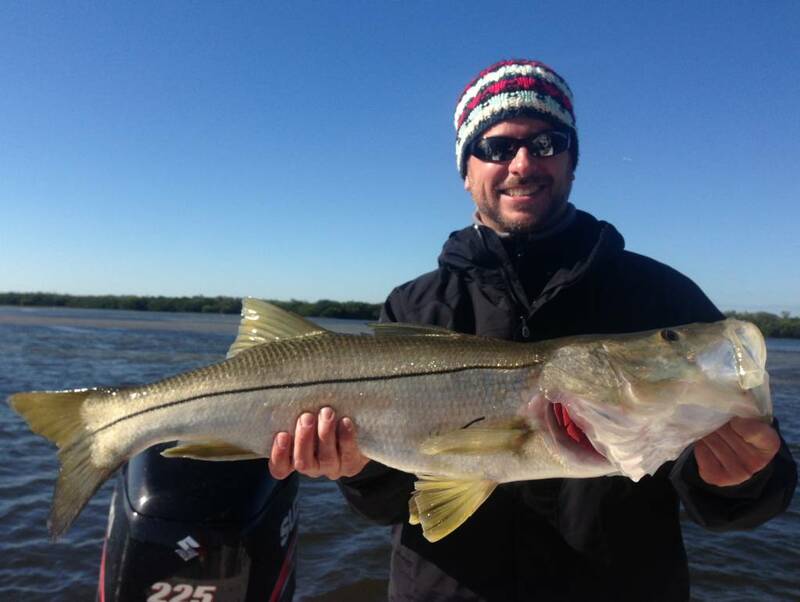 Captain Matt says Snook are probably number one as far as what his flats fishing charters ask for, because there is just a small area in the US to fish for them. Redfish are just as fun to catch, good eating and make for a challenging fight for the charter fisherman. 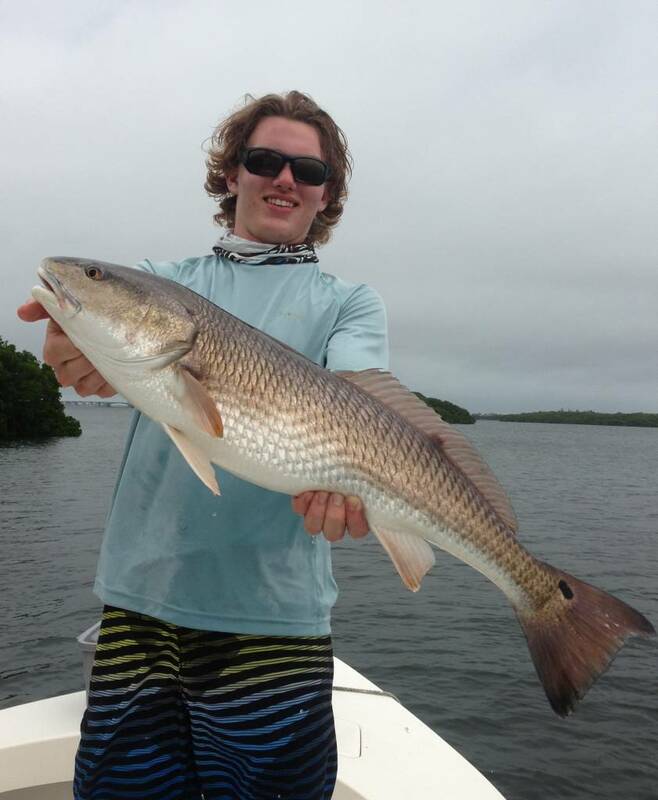 Redfish make a great target for Captain Matt’sTampa Bay redfishing charters throughout the entire year. 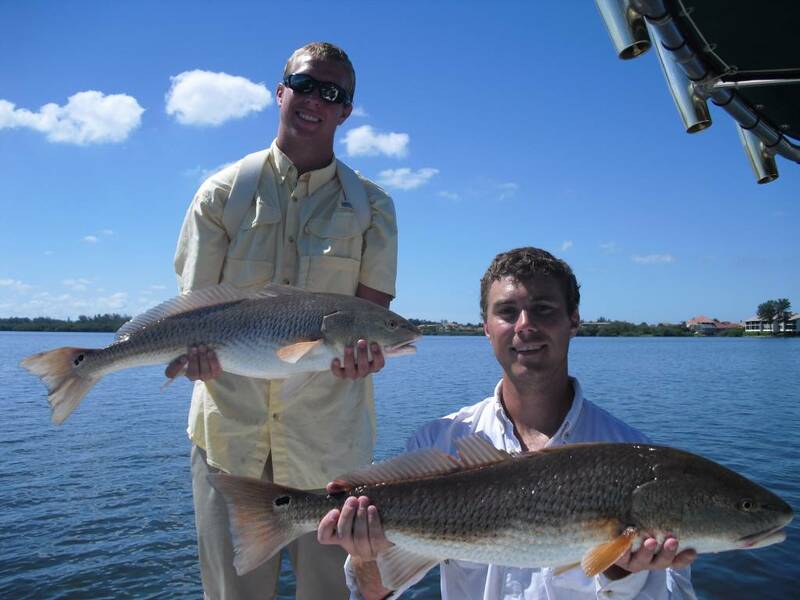 Most of the Captain’s Redfish are caught in very shallow water, 3ft or less during the large majority of the year. Have you been looking for a place to take a fishing vacation? Have you been specifically looking for a great fishing location that also makes for a great all around vacation? 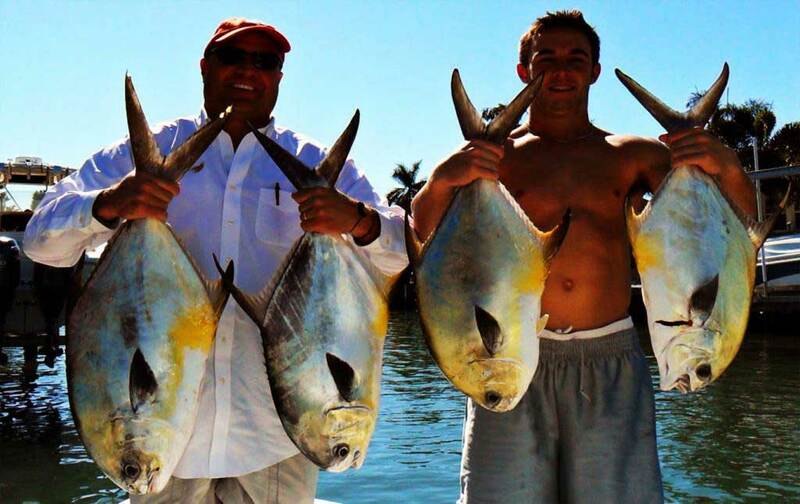 If so, then a Tampa Bay fishing vacation might be just what you have been looking for. With everything from great charter fishing to tons of tourist attractions, you will find something for the entire family when you visit this wonderful area. For your Tampa charter fishing vacation your guide will be the experienced and knowledgeable Captain Matt Ercoli fifteen years of Tampa Bay fishing charter experience under his belt.With his knowledge of the local Tampa fishing grounds you will be led to the ideal places to cast your line and experience some of the funnest fishing action you have ever taken part in. 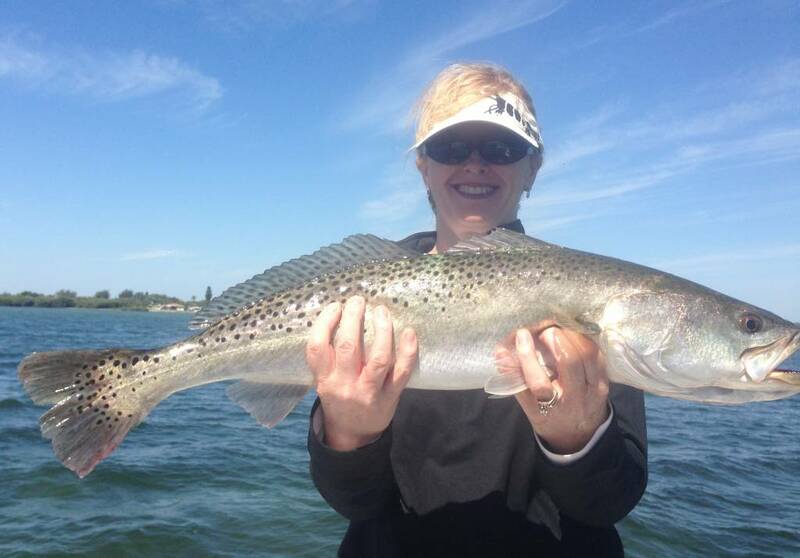 Sarasota fishing is only a short boat ride from Matt’s dock. 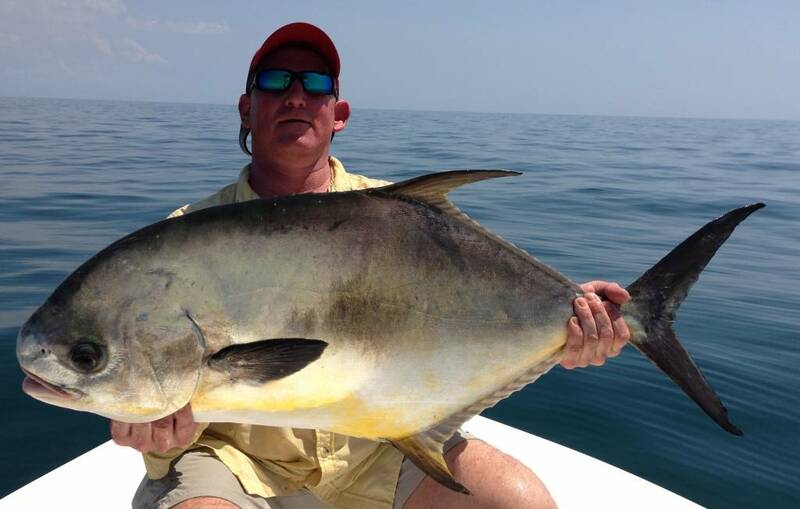 He is a close 10 minutes from some of the best fishing in Sarasota. The intercostals water way runs right by the captains dock heading south he runs right into the north end of Sarasota Bay. This is great because this estuary is much smaller than Tampa Bay making it possible to fish on any wind direction fewer than 20 knots. Having quick access to protected waters is an important and asset to the Captain daily game plan. As any well season anglers knows as an approaching front moves in it kicks up the winds, but it also stirs the fish into biting.